The Leicester Cobras were busy on Monday filming some routines that will be used in this evenings “The One Show” on BBC1 at 7 pm. 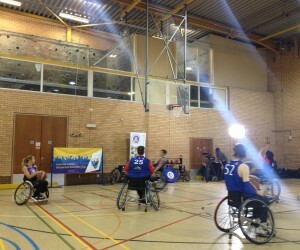 The piece is about new members that have taken up sport after watching the Paralympics. It will feature new Cobras member, Christine Deary. Be sure to watch it.